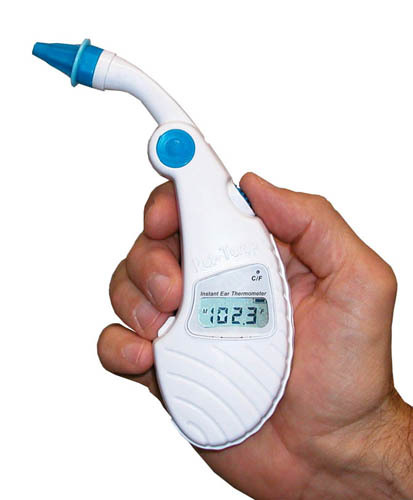 The Pet-Temp® Instant Ear Thermometer is used by pet owners and veterinarians worldwide to quickly, easily and accurately monitor the health of companion animals. 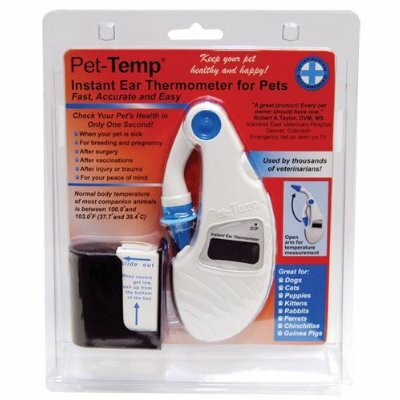 The Pet-Temp works by measuring heat waves from the ear drum region, which has been shown to be a ‘core’ temperature in both, humans and animals. This innovative thermometer works on dogs, cats, puppies, kittens, rabbits, ferrets and most companion animals. As it takes only one-second to measure temperature, the Pet-Temp gives pet owners the ability to immediately stay informed with changes in their pet’s health and make better decisions about when medical attention is needed. You may even save your pet’s life by using the Pet-Temp on a regular basis. Normal ear temperature of most companion animals is typically between 100.0 ºand 103.0ºF (37.8 º and 39.4ºC). 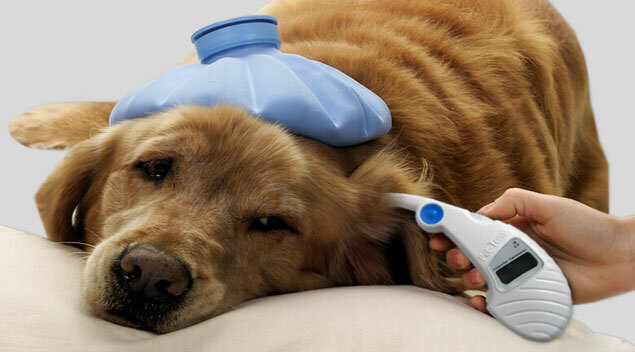 In only one-second, the Pet-Temp measures an accurate brain temperature from the family pet. By monitoring your pet’s temperature, you will know when to take your Pet to the Vet! 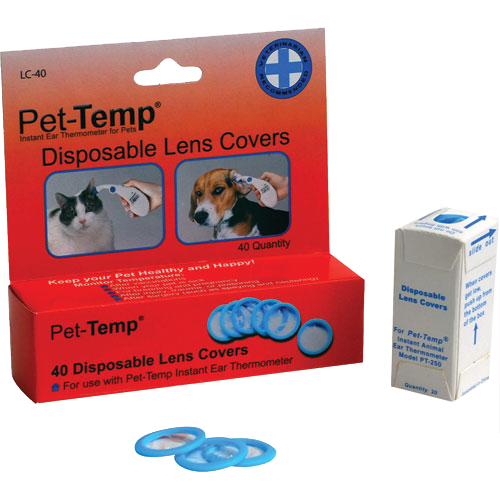 1 pack of 20 Lens Covers with Dispenser.